Puttaparthi, the abode of Sri Satya Sai Baba, on Monday witnessed a beautiful symphony of sound and spirit as thousands of devotees from across the world, important dignitaries and well renowned artists gathered to join the 85th birthday of the renowned spiritual guru. 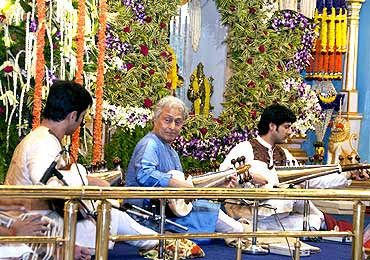 The Festival of Divine Love commenced with a soul stirring performance by Sarod Maestro Ustad Amjad Ali Khan accompanied by his sons, Ayan and Aman; followed by the dynamic Carnatic vocalist Abhishek Raghuram later in the evening. 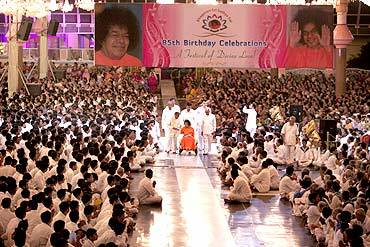 The Veda chanting began at 4:30pm on Monday, and it was at about 6:45pm that Swami arrived for darshan as the bhajan singing went on. The proceedings of the day was a heartwarming experience for all at Puttaparthi and a joyous occasion for everyone as the maestro, Ustad Amjad Ali Khan himself stated, "It was a spiritual experience." The musical performances heightened the emotions of all present and the purity of sound was soul touching as the renowned artists mesmerised the gathering with their talent. All in all it was a musical feast for all gathered. 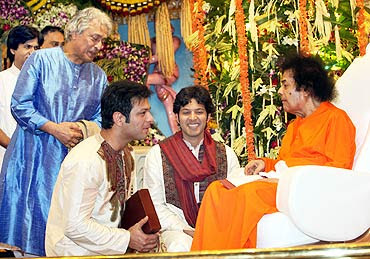 The presence of Bhagwan Sri Satya Sai Baba seem to have inspired the artists to give one of their most memorable performances. Shri Satya Sai Baba was born in a remote village called Puttaparthi in Ananthapur District of Andhra Pradesh in India on November 23, 1926 to the pious couple Ratnakaram Pedda Venkama Raju and Eswaramma. Baba was named Satyanarayana Raju. Young Raju was exemplary to others through his behaviour. Even as a child, His spiritual inclination and contemplative nature set him apart from other children of his age, and he was known as 'Guru' and "Brahmajnani' (knower of Brahman or Godhead) among his peers and others in the village. However, he made the historic declaration of his Avatarhood, (divinity incarnate in human form') on October 20, 1940. 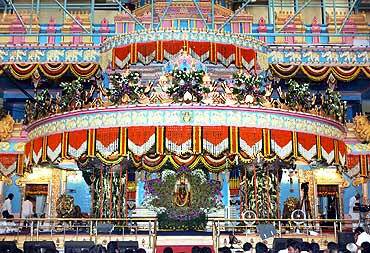 The world at large started learning of his divine phenomenon and the holy mission started unfolding. 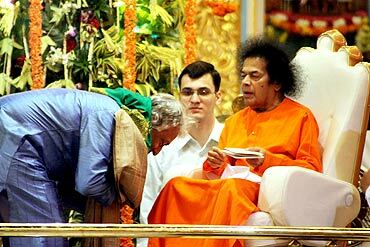 Sri Satya Sai Baba is revered and worshipped across the continents by millions of people for his teachings of value oriented life and for his innumerable projects in education, medical care and fulfillment of social needs.